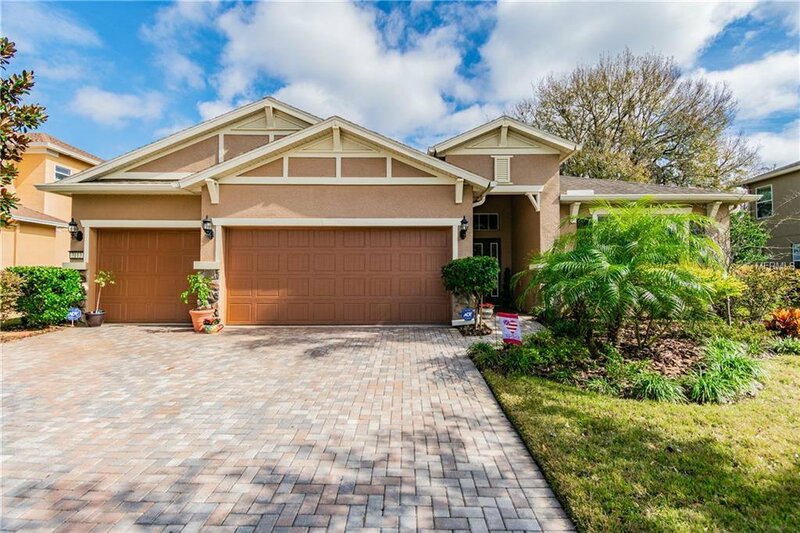 The community of Stonebrier is always in high demand and this beautiful home in its GATED COMMUNITY will be no exception. Looking at a plot map of this lovely street; you'll find this lot to be the BEST and LARGEST available. The back of the lot affords a FENCED back yard, overlooking a SPRING FED LAKE that becomes a focal point while inside or out! Moss hangs in the trees for a romantic sunset with shaded areas for relaxing, fishing or maybe a nap in a hammock. Minutes from 589 and Steinbrenner.